littleBits Projects: Mount Modules Anywhere! « Adafruit Industries – Makers, hackers, artists, designers and engineers! 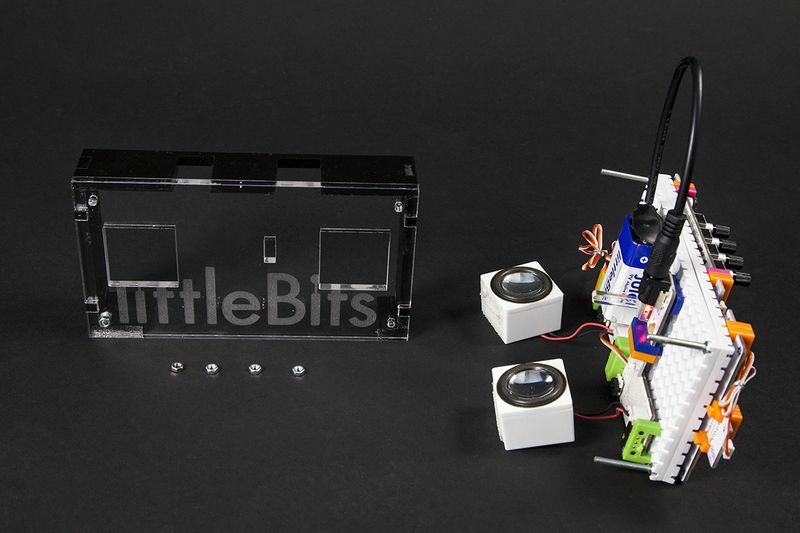 littleBits Projects: Mount Modules Anywhere! This is part of an on-going series of posts about littleBits projects. littleBits is available in the Adafruit store – Starter Kit, Extended Kit, Deluxe Kit, and Synth Kit. 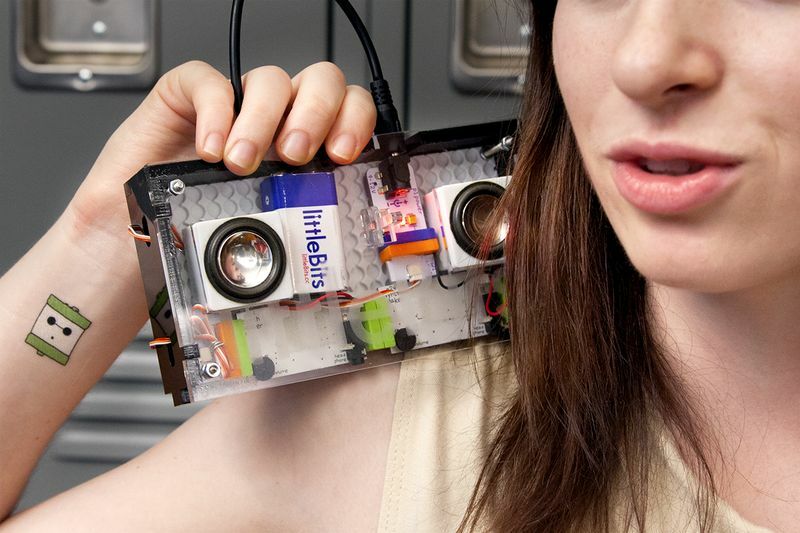 Hit the streets with littleBits. Check out projects featuring our newest accessory, the mounting board. The mounting board allows you to keep your circuit intact and move it around with ease! Simply snap together your littleBits circuit and press the feet of your modules into the holes of the mounting board. Here are a few examples of what you can make! 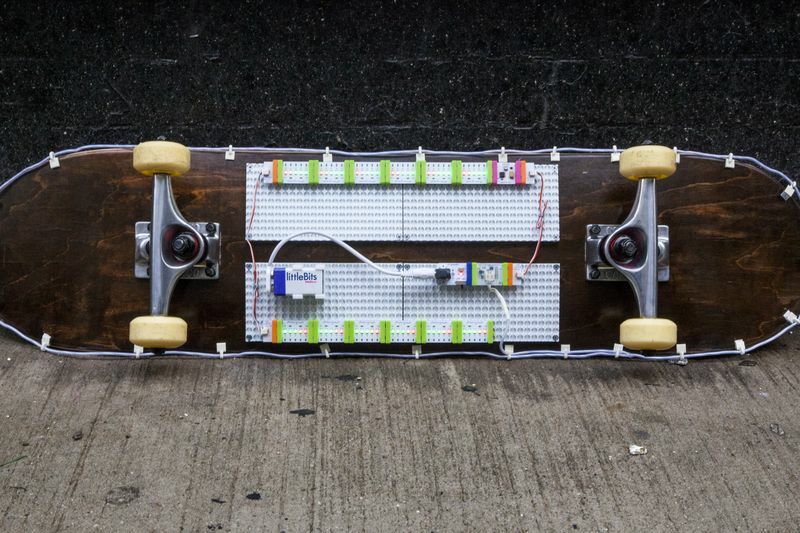 Skateboard – Trick out your ride with littleBits light effects. 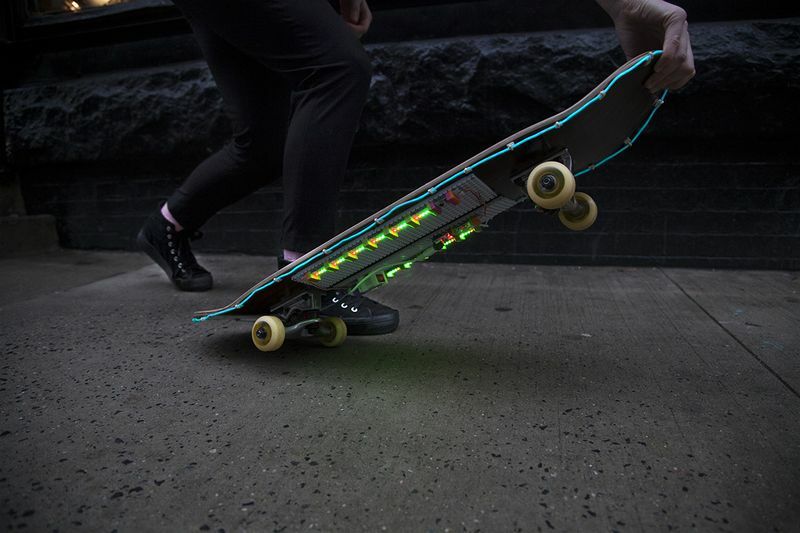 This sound-activated skateboard lights up the streets with LEDs and a light wire as you ride along. Simply attach your modules to the bottom of the skateboard with mounting boards! Hit the road and never look back. Boombox – This portable mini boombox is great for carrying around town. Just place a synth circuit (with 2 speakers) on two sandwiched mounting boards and add an exterior casing. Then spread some music love to the streets. 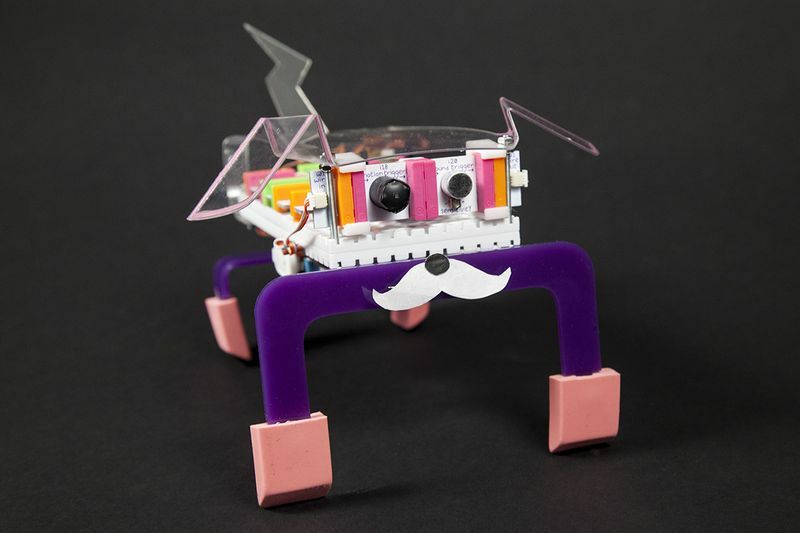 Mounting Board Puppy Robot – This little puppy bot has two mounting boards for a body. Just add littleBits and some sturdy legs to get him walking. Control his stride by adjusting the pulse and slide dimmers that connect to his servo-activated legs. Activate the sound and motion triggers and he will happily come over and greet you. Want to add a set of mounting boards to your littleBits collection? Click here. 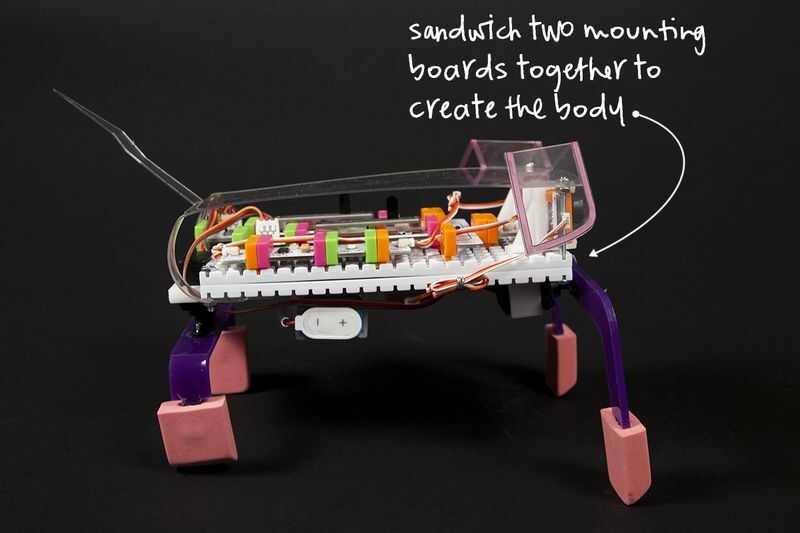 Comments Off on littleBits Projects: Mount Modules Anywhere!